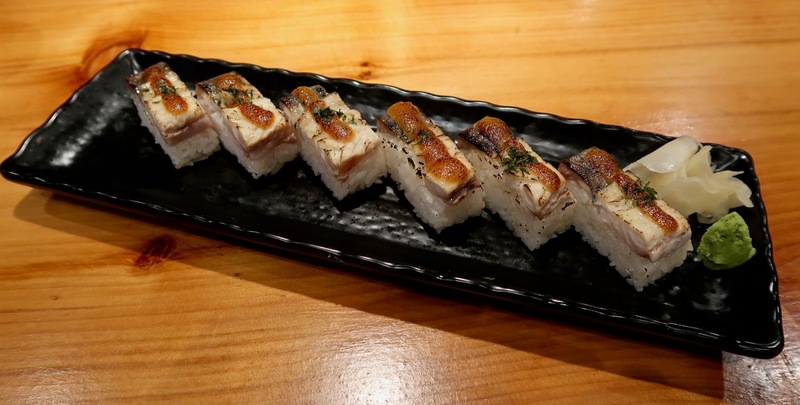 Aburi sushi made by former chefs from Miku and Minami? For cheaper prices? Yes, please! Ever since I first tasted Miku's Aburi Salmon Oshi Sushi more than 6 years ago (holy crap, I'm getting old), I've been looking for other places where I can also enjoy good Aburi sushi accompanied by less hefty price tags. After all, I'm not a small eater, and a trip to Miku means at least $80 out the wallet before I'm somewhat full. Yui seemed like the perfect place when I wasn't feeling quite as fancy. 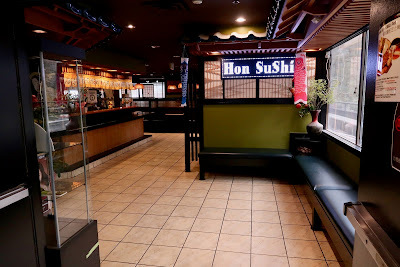 I got the help of Vancouver foodie Jeanne (@popofrouge) to try out their lunch service. Situated among a sea of office towers, the Chinese-operated Yui was expectedly busy during lunch on a weekday. The only spots available for us were at the sushi bar, right in front of the Aburi station. What an excellent view! Well, for everyone except me. 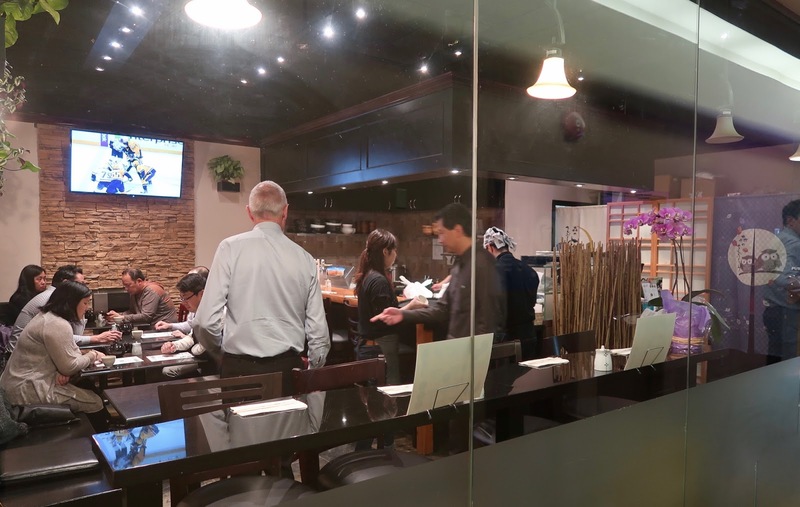 Normally, food enthusiasts highly enjoy sitting where they can observe, eat the food as soon as it's made, and engage in friendly conversation with the chef. However, my brain is literally wired to do only one thing at a time. If I try to take notes and talk at the same time, I will actually start spewing out gibberish. 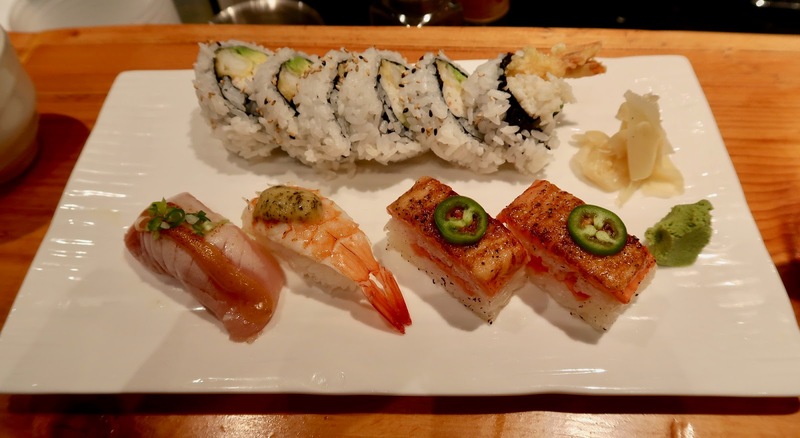 Thankfully, I think the chef clued in and focussed on making his sushi instead. The Chicken Chashu looked like an interesting way to start my lunch. 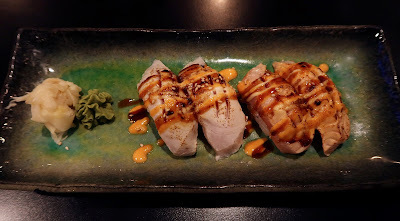 It came with soft-stew free-range chicken, accompanied by amakuchi (sweet) soy sauce and a side of grain mustard. 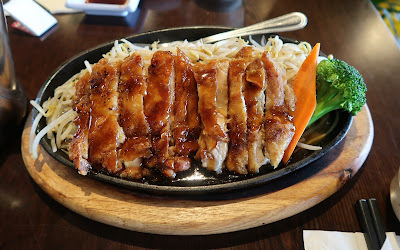 The chicken was sliced somewhat like pork chashu but in much thicker pieces. It was lightly grilled, very tender, and savoury with help from the sweet soy. 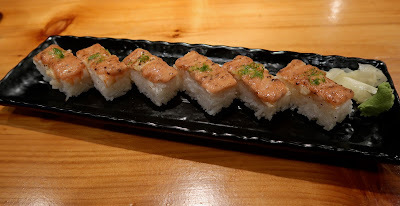 Closely mirroring Miku's version, the Aburi Ebi Oshi ($11) was dressed with lime zest and creamy oshi sauce. It had a vibrant citrusy tint and a good amount of creaminess, but tasted slightly rice-heavy. The Aburi Saba Oshi ($11) came with miso oshi sauce and a light sprinkling of seaweed. 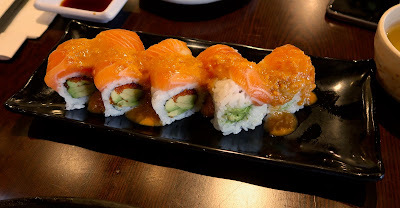 The saba was not excessively salty, and the miso sauce helped generate a delicious, savoury flavour. However, I thought that the saba itself could've been seared a little less, which would give it a softer texture. Next, I went for the lunch plate that contained the greatest variety, which happened to be the Yui Plate. 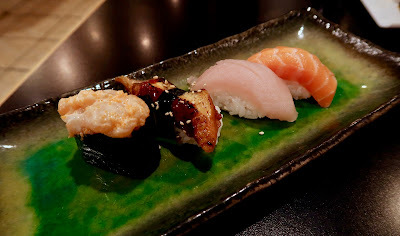 At $11, it's not a bang for the buck, but it's a relatively cost-effective way to sample the highlights at Yui. The Aburi Tuna Nigiri was delightfully fresh with a soft texture. The miso glaze and scallions were a perfect complement to the tuna. The Aburi Ebi Nigiri was dressed with a dab of pesto sauce and could have used a little more moisture. 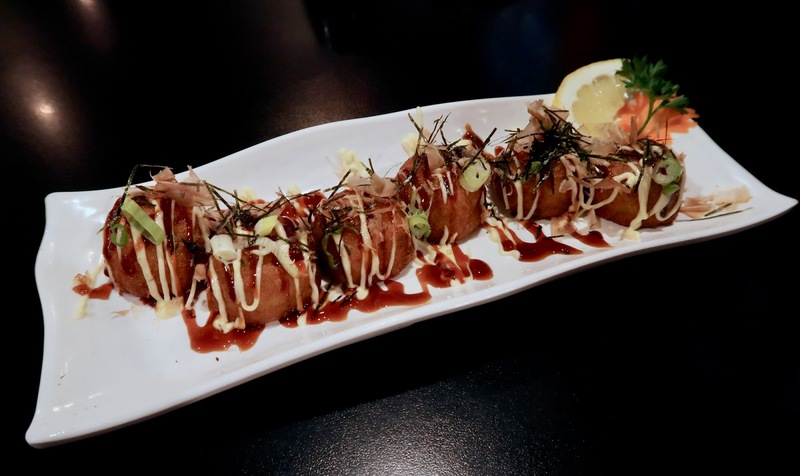 The Aburi Salmon Oshi was delectably creamy with an excellent smoky flavour. The jalapeño slices would work even better if they were thinner. The roll that accompanied the Yui Plate was the Dynamite Roll. The sweet imitation crab meat went well with the creamy avocado. 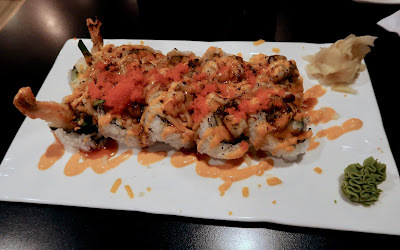 The prawn tempura was crispy, but the batter was hard in places. 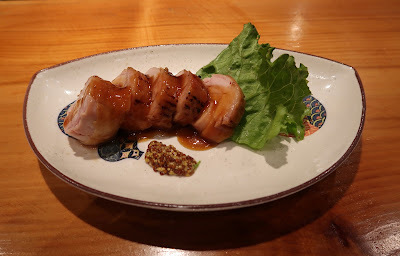 Overall, we had an enjoyable experience at Yui. We experienced no problems with the service. 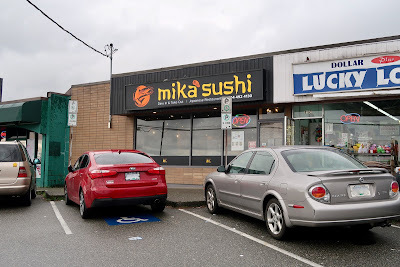 The food isn't exactly Miku, but it comes reasonably close given the lower prices. 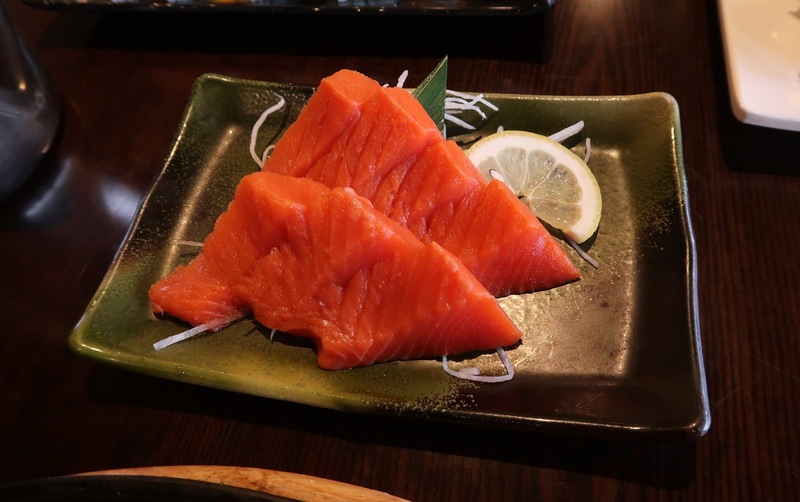 The difference was mainly in the sushi rice, where Miku's has a smoother texture and is more flavourful. 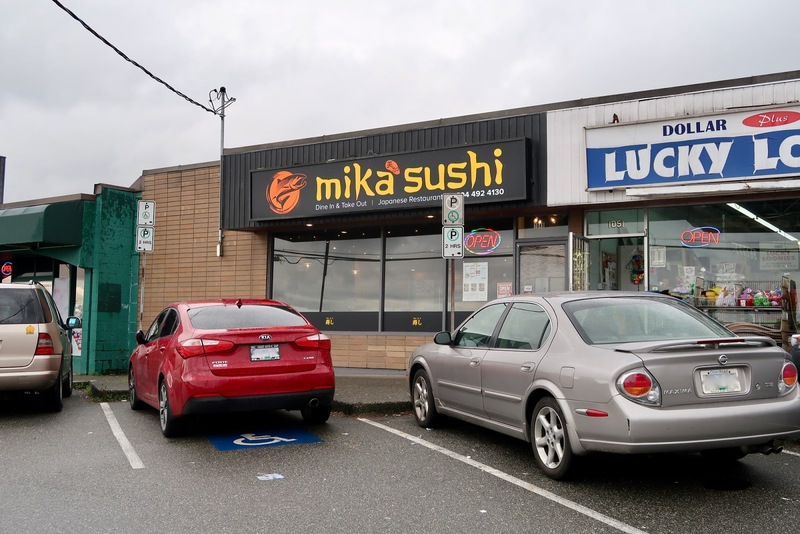 In either case, Yui works as a good casual alternative to Miku for a quick meal... unless it's so busy that a line-up starts to form.